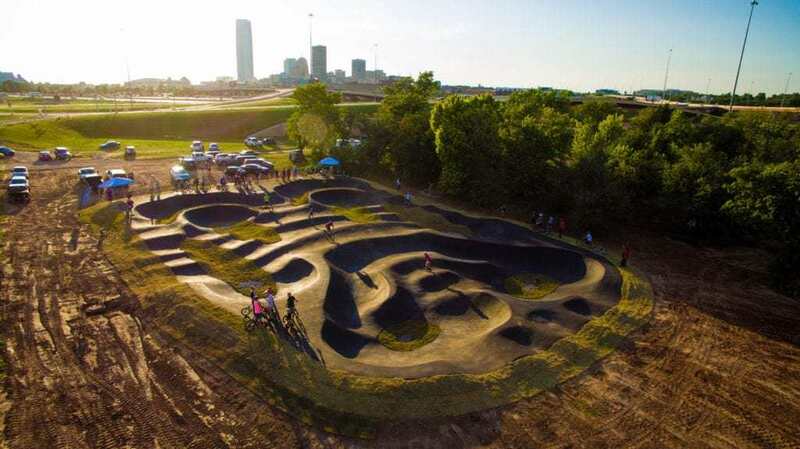 Pump Track Oklahoma City, located in the Boathouse District, is the third pump track in the United States. 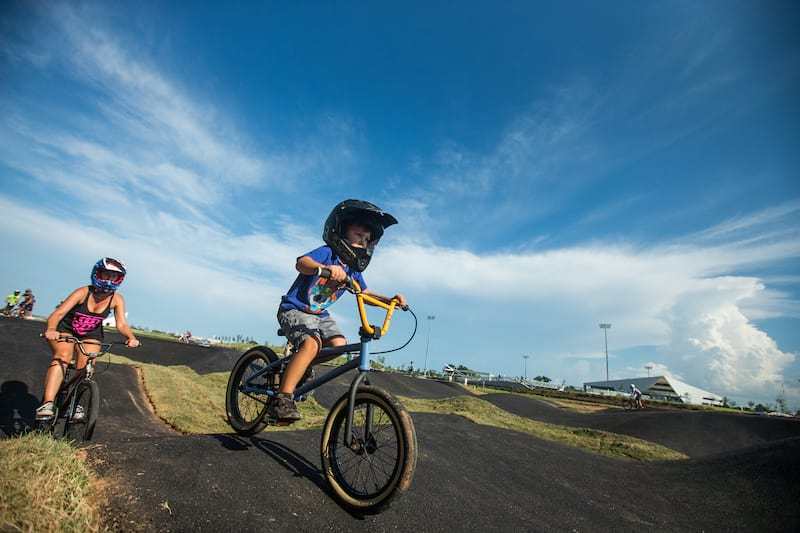 The track is located next to the Olympic water sports facility where 260 tons of asphalt has been smoothed out to make the symmetric pump track. BMX, skaters and the mountain bike cultures are brought together to shred on this creation. 180 Your Mountain Bike. Can you do it?